Have you a story for Wicklow County Matters? Local groups and societies in Wicklow now have a golden opportunity to publicise their events on television to a national and global Sky TV audience. 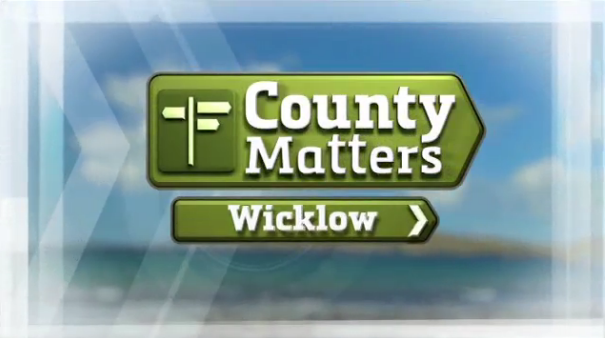 Wicklow County Matters is a half-hour weekly TV programme broadcast every Sunday at 6pm and again on Tuesday at 1pm on Ireland’s first international channel Irish TV. The producers are looking for Wicklow people with a story to tell for the show which can be seen across Ireland, the UK, and Europe on Sky Channel 191, Freesat 400, Eircom’s eVision, free-to-air boxes and online at Irishtv.ie. “People and communities are at the heart of Irish TV,” said Wicklow County Matters presenter Georgina Heffernan. This week on Wicklow County Matters viewers can look forward to highlights from the Knockanstockan music festival which was held on the shores of the Blessington lakes on July 25-26. The episode will feature live performances and an interview with Dublin band The Hot Sprockets. Georgina and the crew will also uncover one of the county’s hidden gems when they visit garden designer June Blake’s gardens in the grounds of an early Victorian steward’s house and farmyard in west Wicklow. The final segment of the show will feature traditional healer, diviner, psychic reader and teacher Joe Mullally who works in the Anam Centre in Blessington. “Bringing local news to a global audience is Irish TV’s motto and we are asking the people and organisations in the Wicklow region who make things happen to contact us and tell us their story,” said Georgina. Irish TV began broadcasting in May and is introducing more original programming every week. Each of the 32 counties has their own half-hour County Matters show once a week, produced by Irish TV’s own nationwide production network. “Our upcoming schedule includes original programmes such as Cooking with Treyvaud with Killarney chef and YouTube sensation Paul Treyvaud who is set to become a huge hit with his unconventional approach,” said Head of Broadcast Malachi Cush. “Take Note is Ireland’s first classical music programme, presented by popular soprano Helen Hutchinson and it airs on Sunday nights. “Grass Roots is the first 32-county agriculture programme and will be hugely based around the small family farm. “The Golf Show travels Ireland featuring a different golf club every week, while Storytime is a simple, engaging and educational daily production aimed at 6-10 year olds.